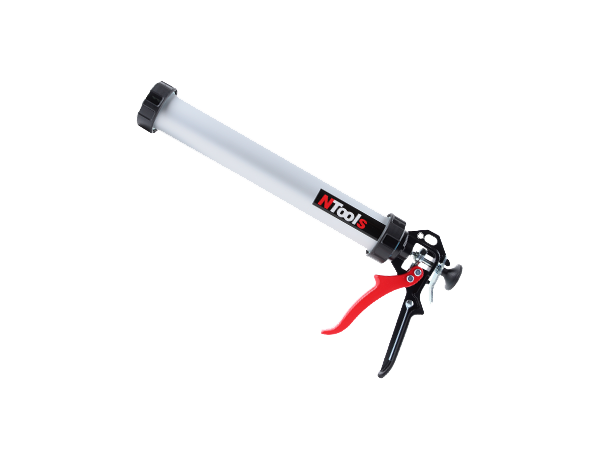 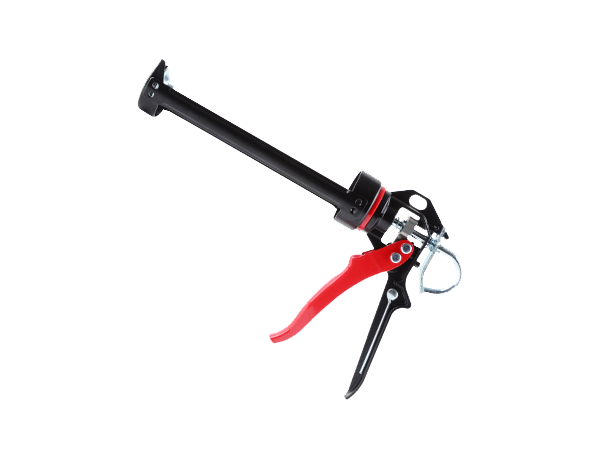 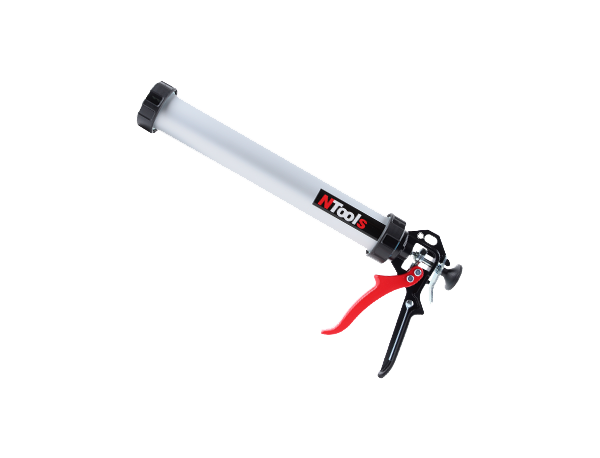 Manual gun for adhesives and sealants in 310 ml cartridges and sachets with a capacity of 300 to 600 ml. 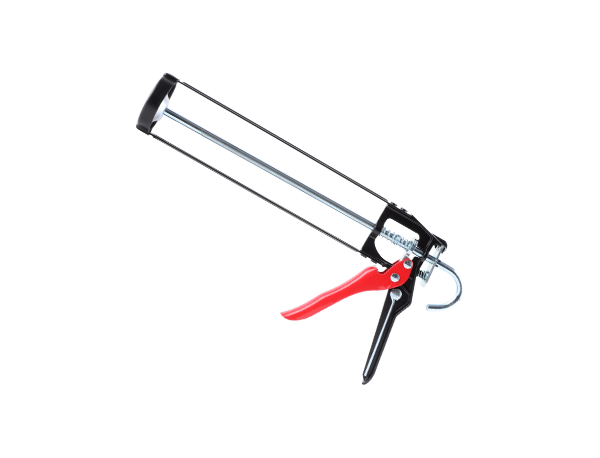 The gun has an aluminium tube with a length of 400 mm, and the handle and trigger made of aluminium alloy. 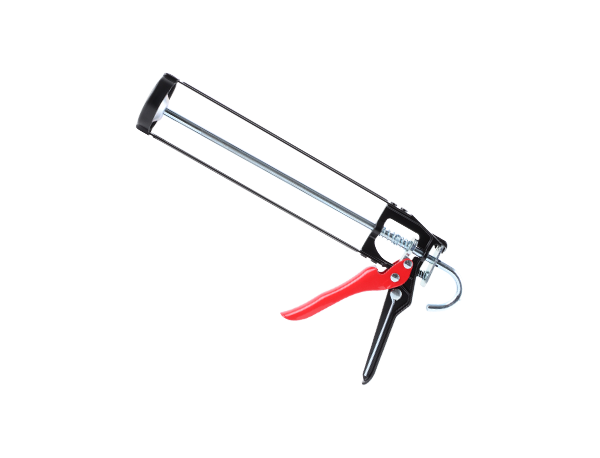 It has a ratio of 12:1, so the sealants and adhesives for glasses can be easily extruded. 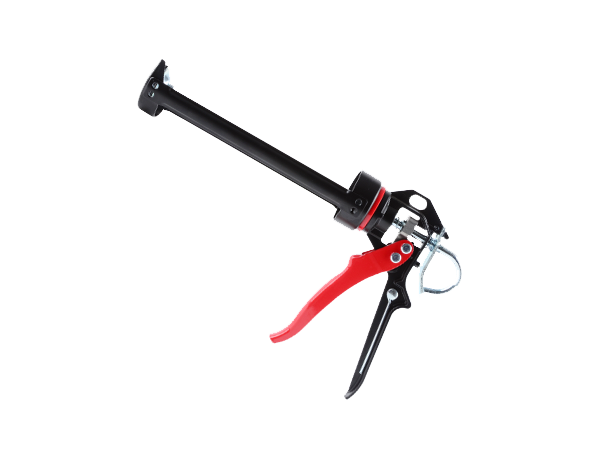 The squeezer has a rotating handle (360°), making application of masses in difficult places easier.